It's been absolute AGES since I've shown you what I've been reading! Margaret, you are a treasure... I thank you so much for sharing with everyone the books that you have been reading lately, I thoroughly enjoyed swapping books with your Jill before Christmas, the biography of the life of Beatrix Potter was inspiring... as a result I have begun painting water colours with Makenna and although we have our own individual styles I'd like to think that a little of Beatrix Potter's techniques are coming through! 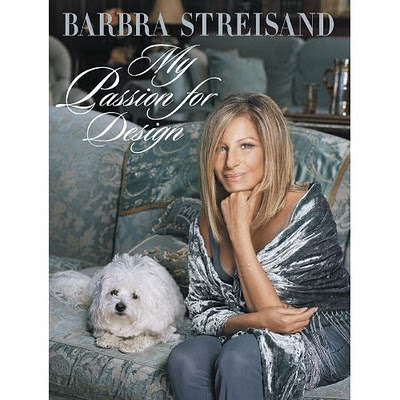 I recently read through Barbra Streisand's first book, "My Passion for Design". 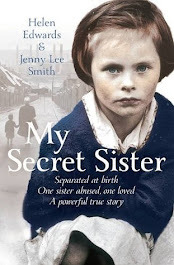 I know that you are not supposed to judge a book by it's cover, however, I fully admit to the practice of being drawn to books, based on their covers, for years! I just loved the French Blue mixed with the warmer tones on the front of this particular book and as I am anticipating incorporating these hues into our home over the next year, it was an easy pick. This woman has an eye for detail and a love for architecture as well as an appreciation for lines and continuity, although honestly, after reading the book through I really believe that she has a touch of decorating schizophrenia... she seems almost fragmented in her tastes. Which honestly, could describe me as well I suppose. The difference is, that she has 3 homes on the same property that reflect her different styles! There is the Main House that has a more formal feel. The Barn which has a more rustic, laid back feel, and her Grandma House which is very homespun with plenty of quilts and chippy furniture. 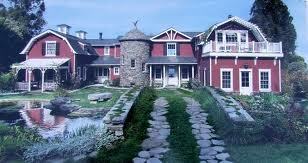 There is also a mill house on the property that has a fully working and operational water wheel. The Barn House looks like a barn in the front, yet the back is styled in a Cap Cod fashion, white and black with masses of windows that look over the sloping green and expansive waters of Malibu. It's nice to know that she has a Movie Room with a 17 foot wide screen that descends from a hidden compartment in the ceiling and that her cook makes her spelt pancakes every morning smothered in pure maple syrup... but really, apart from the fun of peeking into someone elses home(s).... I just really loved the French Blue mixed with the warmer tones on the front cover.